The order is part of the Mayor’s larger agenda of reducing city-wide greenhouse gas emissions by 80 percent of 2005 levels by the year 2050. Empire Clean Cities was proud to join Mayor De Blasio and the New York City Department of Citywide Administrative Services (DCAS) on the morning of March 28th in front of Citi Field as the Mayor signed an Executive Order to reduce the size of the City’s on-road vehicle fleet by at least 1,000 vehicles by June 2021. The order will also curtail the fleets dependence on conventional SUVs, reduce the number of take-home vehicles by at least 500 vehicles, and seek greater vehicle efficiency by introducing Telematics software to the vehicles. The Telematics software provides advanced data collection on each fleet vehicle and will allow the agency to strategically determine which vehicles can be removed or optimized by analyzing vehicle use. With the executive order, DCAS estimates that 10 million fewer miles will be driven by City vehicles each year, resulting in: reduced road congestion; a cut to the City’s annual petroleum consumption by 500,000 gallons; and decreased annual emissions by 6,300 metric tons of CO2 by 2021. This estimated reduction is the equivalent of burning nearly seven million pounds of coal! 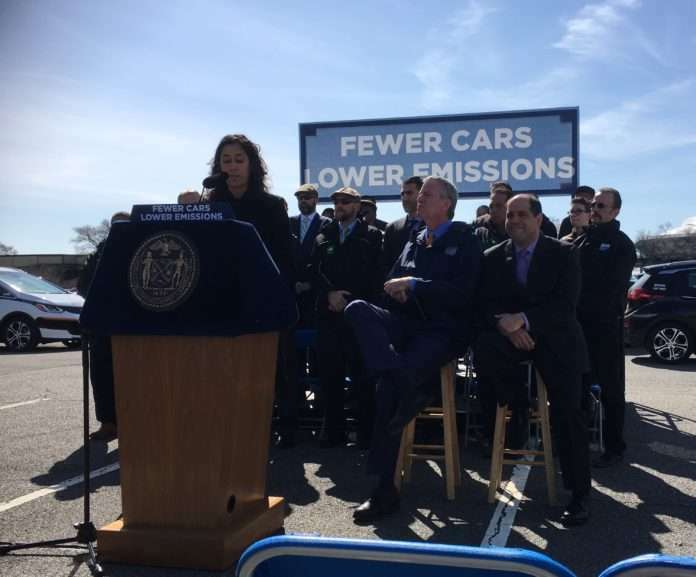 The order is part of the Mayor’s larger agenda of reducing city-wide greenhouse gas emissions by 80 percent of 2005 levels by the year 2050 (See: 80×50 vision from One NYC report). According to the Inventory New York City Greenhouse Gas Emissions in 2016[ report produced by the New York City Mayor’s Office of Sustainability, the transportation sector is the second-largest emitting sector in the five boroughs. Operates over 1,750 on-road electric vehicles, the largest network for any municipal government. Operates a network of over 568 electric vehicle charging stations, including the largest network of solar-powered vehicle chargers, with 65 in use. Is beginning to use renewable diesel, a 99 percent petroleum-free diesel alternative made of organic material, as of 2018. 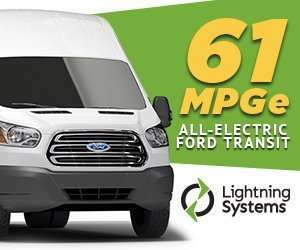 Operates light-duty fleet vehicles that achieved an average fuel economy equivalent of 100 miles per gallon (MPG) in the most recent Fiscal Year. Has ordered its first 190 hybrid pursuit rated police vehicles. Next articleSo, you’ve been thinking about an electric vehicle?